The Great Kindness Challenge is proudly presented by Kids for Peace, a global 501(c)(3) nonprofit organization. Kids for Peace was co-founded in 2006 by Danielle Gram, a high school honors student and Jill McManigal, a mother and former elementary school teacher. What started organically as a neighborhood group of kids wanting to make our world a better place, has grown into an interconnected network of young peacebuilders worldwide. In 2011, the elementary school that Jill’s children attended asked Kids for Peace to help create a more positive, unified and respectful school environment. 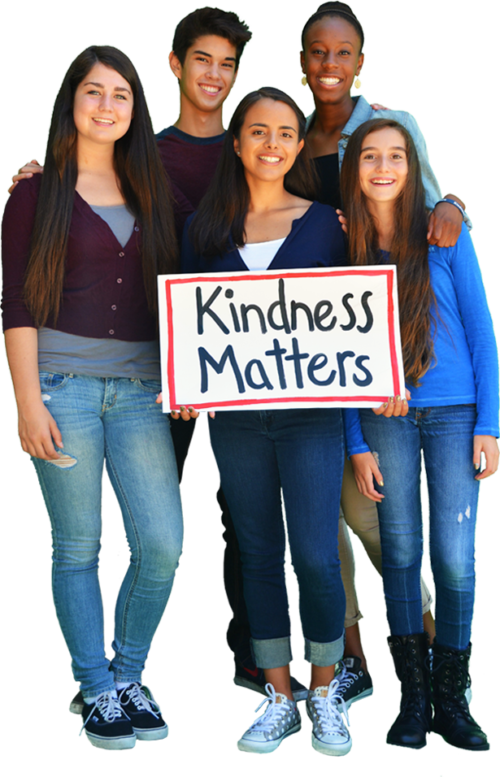 As a result, The Great Kindness Challenge was designed and piloted with three Carlsbad, California schools. Because of our innovative approach and wildly successful results, word spread, and a kindness movement was born! At the heart of The Great Kindness Challenge is the simple belief that kindness is strength. We also believe that as an action is repeated, a habit is formed. With the Great Kindness Challenge checklist in hand, students have the opportunity to repeat kind act after kind act. As kindness becomes a habit, peace becomes possible. The Great Kindness Challenge is a grassroots movement that is making our schools, communities, and world a kinder and more compassionate place for all. Working together, we joyfully prove that KINDNESS MATTERS! Our team is joyful, tenacious, committed and kind. In true grassroots fashion, our big-hearted team consists of mostly volunteers who work passionately around Jill’s dining room table. We have one simple goal: to create a culture of kindness for all.